Short days in winter reduce your opportunities to fly… unless you hold a Night Rating! 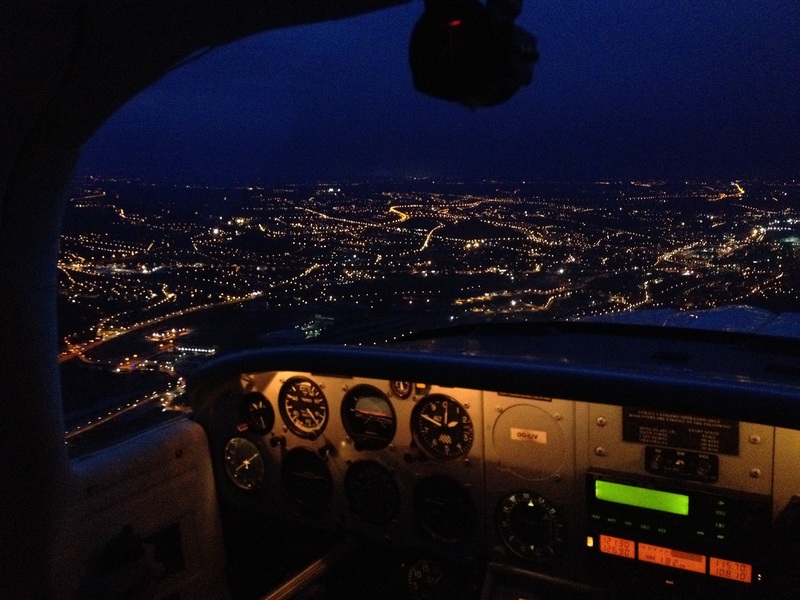 As a Private Pilot, you can indeed obtain such a qualification which allows you to plan your trip beyond the sunset and to experience the enchanting beauty of night time flight. The programme comprises theoretical knowledge instruction and at least 5 hours flight time at night, including at least 3 hours of dual instruction, including at least 1 hour of cross-country navigation with at least one dual cross-country flight of at least 50 km (27 NM) and 5 solo take-offs and 5 solo full-stop landings. As soon as you hold your PPL (Private Pilot License), you can take a Night Rating. The Night Rating is required if your En Route Instrument Rating (EIR) is to be valid at Night.